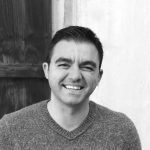 Founder and CEO Tive, Inc.
Krenar Komoni is CEO and founder of Tive, Inc. where he brings in-depth hardware and software expertise to the development and growth of this technology company. Prior to founding Tive in 2015, Krenar was a core member of multiple start-ups in a variety of industries, developing fabless semiconductors, innovative base-station amplifiers, indoor positioning systems, RF-related services and products, and 3D immersive interactive applications. Krenar graduated with a Bachelor of Science degree in Computer Engineering and Mathematics from Norwich University, and earned his Masters of Science in Electrical Engineering at Tufts University.